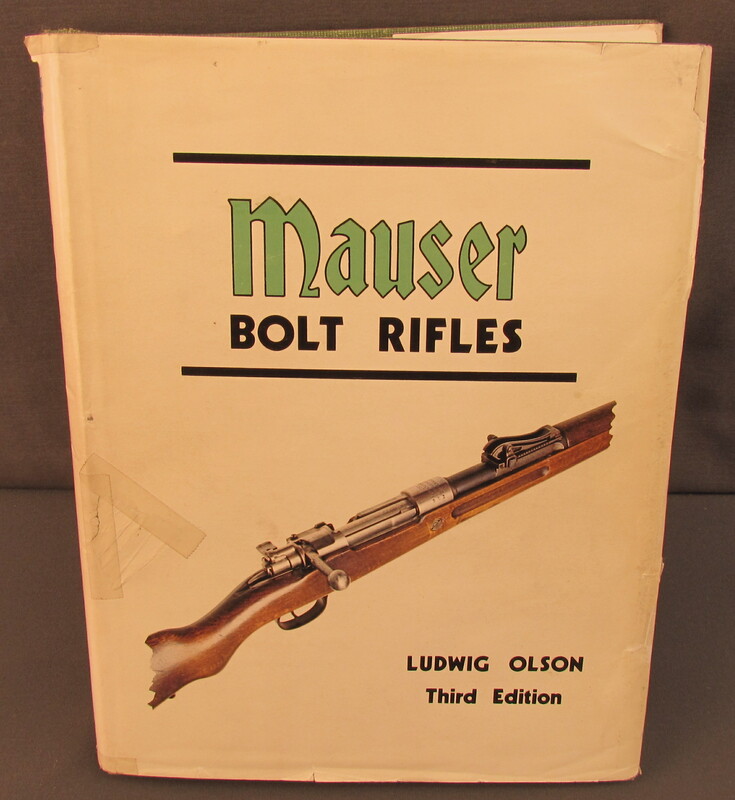 Description: By Ludwig Oslon, third edition, @ 1976, 364 page hardcover in jacket. This used book is in very good condition with signs of much use. The jacket is torn and tattered with tape repairs. 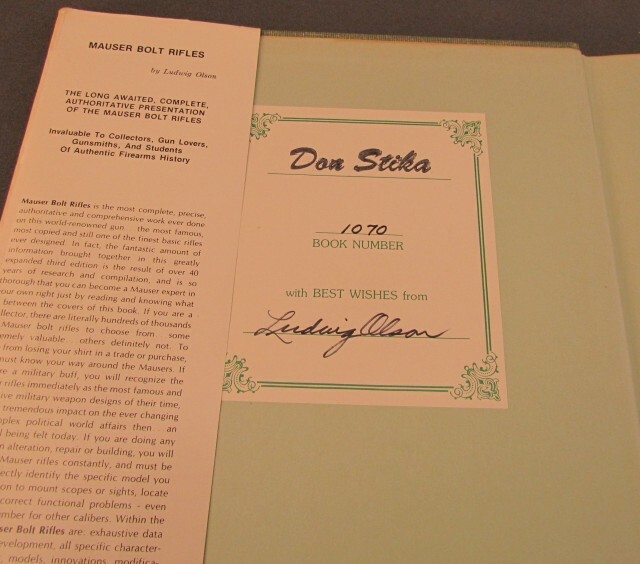 Former owners name is stamped on nameplate with authors autograph and book number 1070. This book shows light shelfwear and soiling. 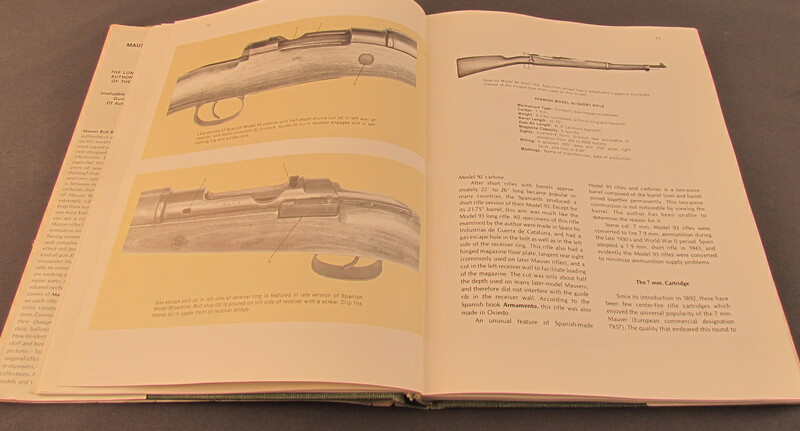 A great reference, this book is used by Mauser enthusiasts as a primary source for research.